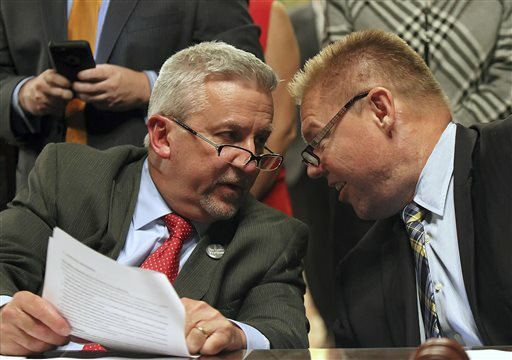 HARRISBURG, PA (WSKG) — Few concrete details are leaking out of Senate lawmakers’ feverish negotiations on a sweeping bill to overhaul the commonwealth’s redistricting process. The bill in question has been in the works for over a year, and would create an independent citizens’ commission to draw congressional maps. But with roughly a month to get it done in time for 2021 redistricting, the measure isn’t fully drafted—and still has to pass both chambers. GOP Dauphin County Senator Mike Folmer has taken lead on negotiations. Noting lawmakers are now in “crunch time,” he expressed frustration the details aren’t worked out. As it stands, the bill creates an eleven-person commission made up of four Republicans, four Democrats, and three Independents picked by the legislature and governor. Folmer said if commissioners are unable to decide between three map options, the legislature breaks the impasse. If they also can’t decide, the state Supreme Court picks a map. That language drew ire from a number of outside redistricting reform advocates, who wrote a letter last week rescinding support for the bill because they believed it gave too much power to lawmakers. Still unclear are the requirements for commission members, among other things. Folmer said a full copy of the bill should be available Tuesday, and is expected to pass the Senate Wednesday.